I spent a few days last week getting to know one of the finest turntables ever made. 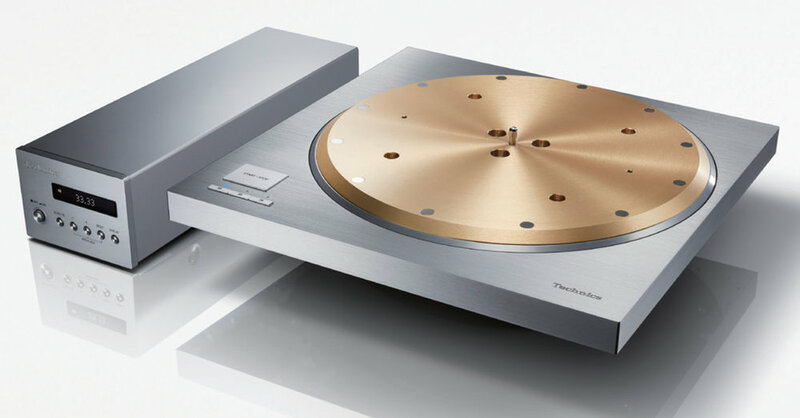 Technics recently unveiled their new SP-10R and SL-1000R. 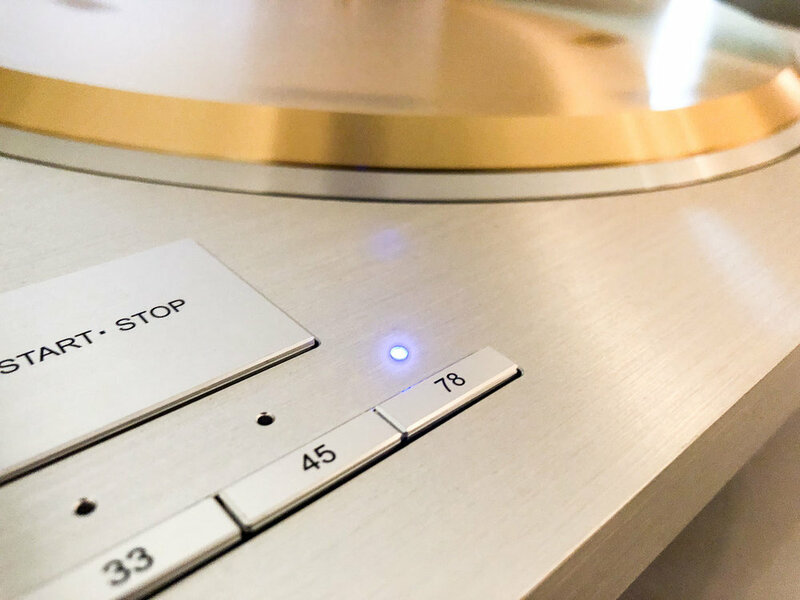 Building on the legacy of their original SP-10, the company has managed to update and improve upon this already world-class turntable. But more on that later. Why am I writing about Technics turntables and why do you care? Because I’ve been using them exclusively for the past 15 years in my preservation, audio restoration and mastering work. They’re on my short list of gear I can’t do without. The fidelity is outstanding, the speed accuracy is perfect, noise floor is virtually nothing, and it’s one of the most reliable pieces of equipment I own. When I find something exceptional I like to tell people about it. On the preservation and restoration side of my job I regularly work with one of a kind records, some of which are so fragile that I only feel comfortable playing them one or two times in order to digitize them. There’s a need to get it right the first time because there may not be another chance to do so. I need a turntable that won’t flake on me. At the other end of a project I often audition test pressings. In doing so I’m listening to how faithful the record is to my master and if there are any noise issues or technical problems with the pressing. On the fidelity side of things, I know from experience that a quality pressing played on my SP-15, with the right cartridge, can sound virtually indistinguishable from the master that I provided to the plant; lows, mids and highs are exactly where they should be. Want to make sure the record you’re playing sounds like it did for the mastering engineer? 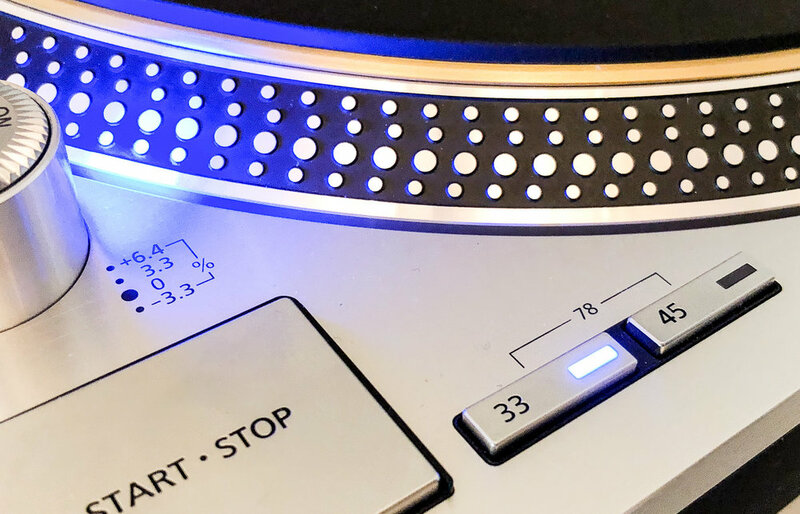 Playing it back on a Technics direct-drive is your first step. Evaluating a test pressing on my Technics SP-15. When I’m listening for possible defects in the test pressing it’s important to attribute any anomalies that I hear to the record and not the system it’s being played back on. Again, from experience, if there’s something weird sounding on the record, it’s not coming from my turntable and I can let the right person know before the record is mass produced. So a turntable with audiophile sound, perfect consistent rotation, super quiet and dependable day after day is essential to how I make a living. First let’s be clear about some basic turntable language. There are two types of record players in the world; belt-drive and direct-drive. 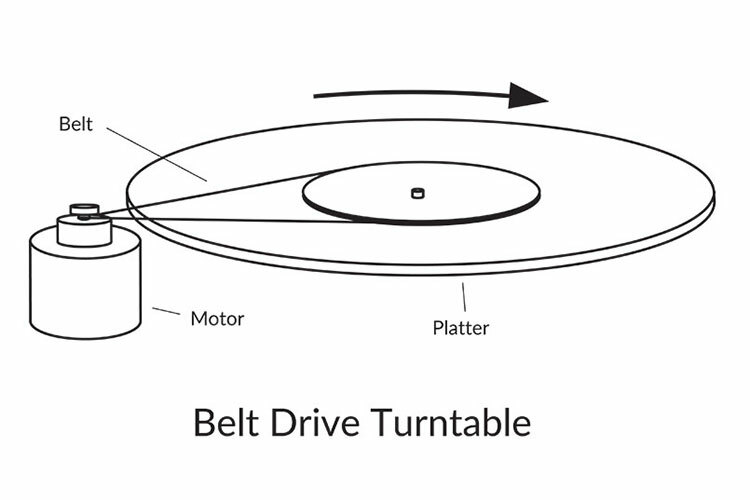 Belt-drives use a rubber belt (or a series of belts) attached to a motor and the turntable platter. The main idea here is to isolate motor noise from the turntable itself. Direct-drive sits the motor underneath the platter and turns the platter directly. Now two of the most important specs when evaluating a turntable: Wow and Flutter, and Rumble. Wow and Flutter: This is basically how well the turntable maintains a consistent speed as it turns. Speed fluctuations are my most hated of all fluctuations. Rumble: This is the signal to noise ratio or how much noise the motor makes in relation to the sound being produced by the record being played. What about sound quality? Absolutely essential, but a big part of that equation is the cartridge and stylus choice. What I can say here regarding the Technics direct-drive turntables is that when paired with a nice cartridge they can sound stunning. When paired with a janky cartridge they’ll sound, well, not so great, but it will not be the fault of the turntable. 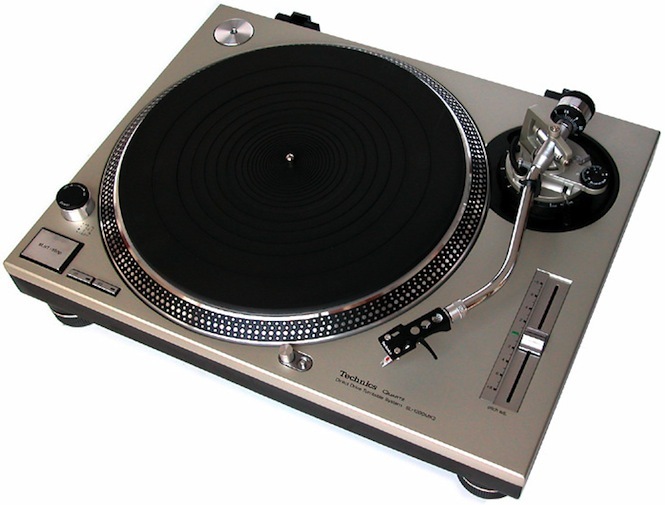 The two main direct-drive models that Technics introduced were the SP-10 and SL-1200. 1970 saw the SP-10; it was the world's first direct-drive turntable and set a whole new standard in the audiophile world. Two years later the SL-1200 came along. The SP-10 was geared more towards the pro market (radio stations) and SL-1200 was more for consumers. The SL-1200 was hugely successful and became one of the most popular record players ever sold. For good reason; the specs were unbelievable. For wow and flutter most turntables were (and still are) around .1 to .3%. The SP-10 and SL-1200 were less than .025%. That’s a pretty big difference and an amazing accomplishment; seriously, .025% is practically immeasurable and most record players don’t even come close to this kind of stability. Rumble numbers were equally impressive, around -78 dB for both models. Durability? Check. These decks came out in the 70’s and 80’s and are still going strong and out performing most new turntables. My beloved SP-15 was somewhere in the middle of the SP-10 and SL-1200; based off the SP-10 mkII but with 78 RPM capability. When I was getting started I fooled around with various belt-driven turntables. I soon became aware of inconsistent speed issues and problems inherent with belt-drive decks. I discovered the SP-15 and never looked back. It had everything I needed; rock solid speed consistency and it was quieter than anything I’d ever heard. Bonus points for looking like a spaceship. I should note that when I bought mine they were already discontinued and about 20 years old. Since Technics had stopped making them I was a little nervous about what I would do if my one and only SP-15 finally quit working. I bought a few more just in case. I’ve got three in operation and another one new in the box. I’ve not had to open the boxed SP-15 yet. Which brings up an important point; perfect speed and super quiet playback mean nothing if the turntable can’t do those two things consistently and dependably over long periods of time. We use the hell out of our turntables here with virtually no maintenance for over 15 years. There’s one thing I can always count on; when the start/stop button is pressed the record sitting on the platter will be played flawlessly. 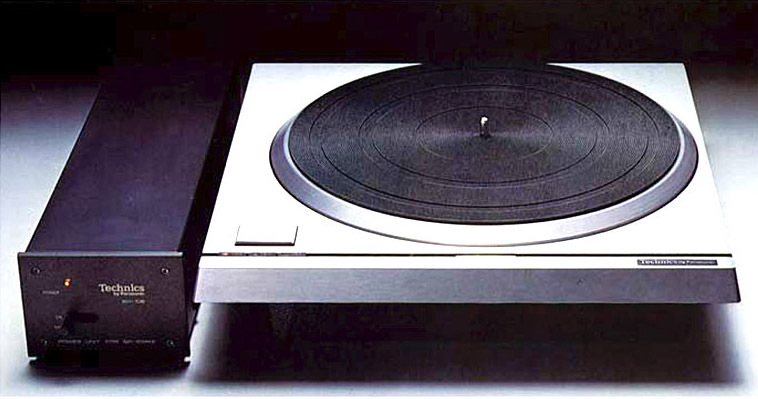 Technics stopped all production of the SL-1200’s in 2009. Demand was down and they had become too costly to make. Much sadness ensued. 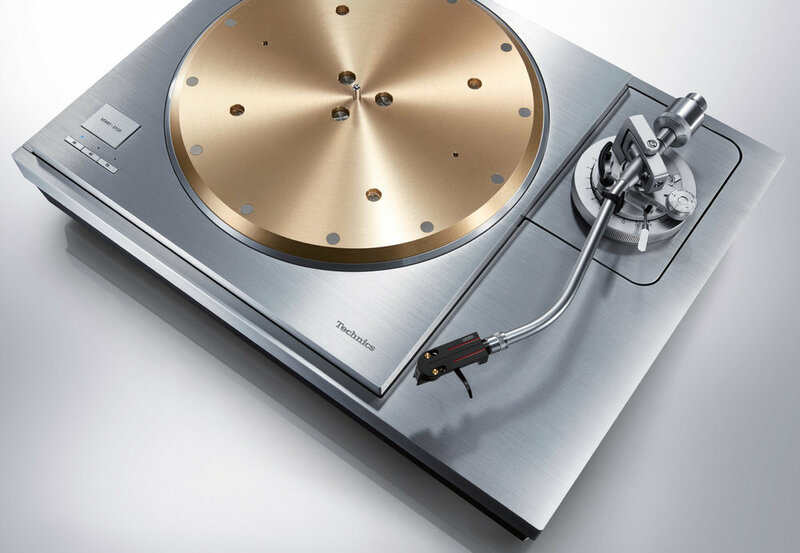 But in 2016 Technics announced the return of the SL-1200…updated and improved as the SL-1200G. The legendary direct drive motor was redesigned to become a coreless drive for even more speed stability, smoother rotation and lower noise floor. The platter, tonearm and body were also completely updated. 78 RPM was added! The LEDs were blue! Happiness! The SL-1200G is a truly amazing turntable. Most modern turntables don’t come close to this kind of precision and craftmanship. At this point, Technics could just call it quits right there, drop the mic and go home. But last fall they announced the return of their flagship SP-10. The new models would be the SP-10R (turntable and power supply only) and the SL-1000R (adding the base and tonearm). The “R” stands for Reference, and it is reference in every sense of the word. The SP-10R / SL-1000R builds on the redesign improvements of the SL-1200G and further refines them. Remember the wow and flutter rating of less than .025%? Well now it’s less than .015%, which is considered the measurement limit. Read that again. Rumble is now down to -92 dB. For the SL-1000R, the power supply is in its own separate box to minimize any chances of noise crosstalk. It’s got an all new, 9-inch magnesium tonearm for increased tracking performance. The base has been designed from the ground up to resist external vibrations. Total weight for the SL-1200R: 88.7 lbs! The SP-10R is backwards compatible too. Let’s say you have an older SP-10 and you love the base and tonearm setup that you have already. No problem, take out the old SP-10 and drop the new one in. 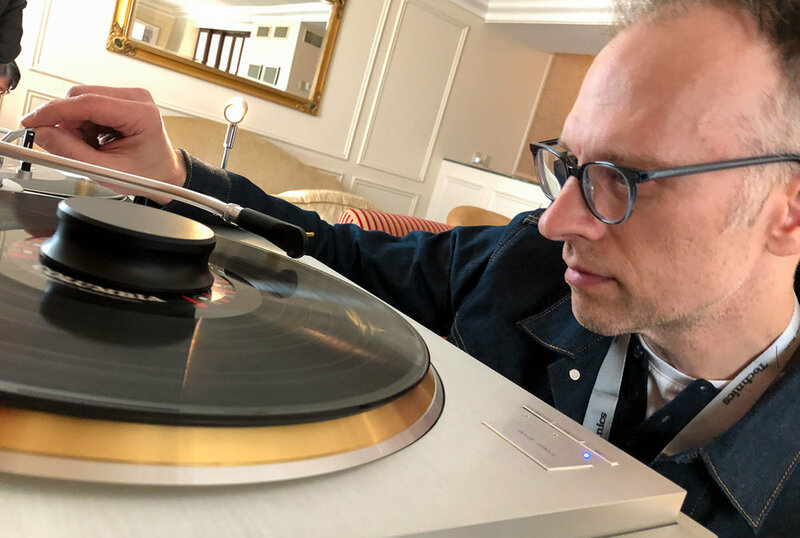 Last week Technics invited me out to the 2018 CES in Las Vegas to talk about what I do and why I couldn’t do it without their turntables. Basically, everything you just read. This year’s CES was North America’s first look at the new SP-10R / SL-1000R. I’d seen the pictures and read the press releases, but it didn’t really prepare me for how stunning these machines are in person. They are simply gorgeous to look at. And touch! There’s something really great about the responsiveness of the classic SL-1200 start/stop button. The SP-10R takes this to a whole other tactile level; you barely touch it and the platter instantly spins. Same responsiveness with the speed control buttons. Totally dig the blue LEDs too. Technics never gets enough credit for their tonearms, but you can feel the precision and craftsmanship of the arm on the SL-1000R as soon as you lift it up. And that hairline-polished aluminum surface mixed with the brass platter…the whole thing is a work of art really. I spent several hours listening to various records; some classic vinyl and some that I’d mastered. Everything sounded fantastic. Perfect actually. I’m not a reviewer so I’m not going to tell you how the soundstage opened up or that things were revealed to me that I’d never heard before. I will tell you that the records I mastered sounded like they did when I mastered them in my studio. That’s really all I want. I don’t need any sweetening, enhancing or smoothing. I need a perfectly transparent turntable that will reveal exactly what is captured in those grooves. The SL-1000R did that for me. The SL-1000R costs $20,000. That's a lot of money to be sure. But again, this thing is absolutely reference class in every way. If you're new to the high end audio world you're probably thinking that $20k for a turntable is crazy. Just know that there are other, less precise turntables being sold on a regular basis for two and three times that amount. The SP-10R goes for $10k, SL-1200G $4k, and the SL-1200GR is a bargain at $2k. If you're in the business of working with or making vinyl you should seriously consider one of these. There’s nothing better at any price. If you're a music fan and record collector you owe it to yourself to play your records back on something that makes them sound they way they were intended to sound.